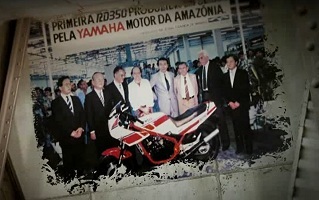 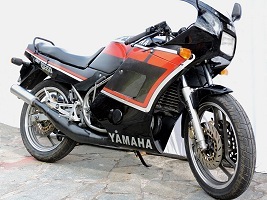 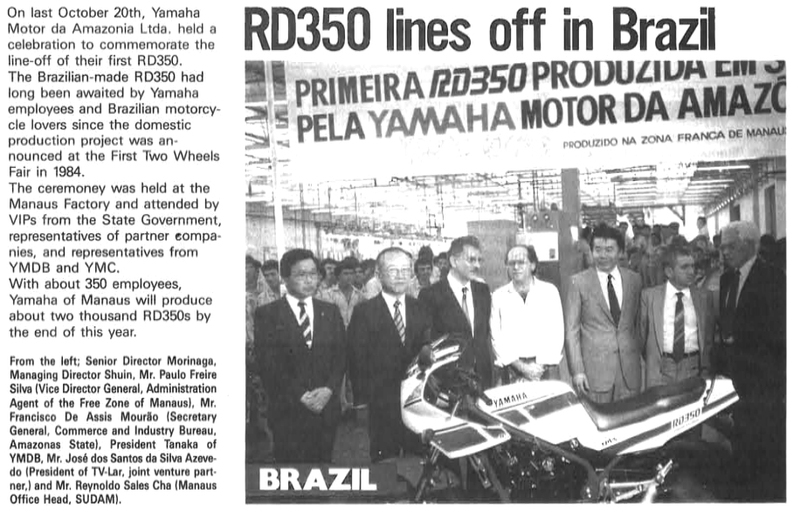 In 1985, Yamaha consolidates further its roots in Brazil, ushering in the Manaus Free Trade Zone, the Yamaha Motor Amazon, its second plant, further enhancing its ability to meet the domestic market. The change comes in good time, given the need to produce models of larger displacement, which required parts with higher technological value. 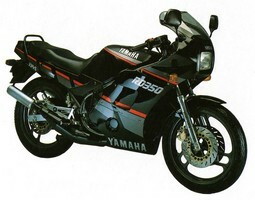 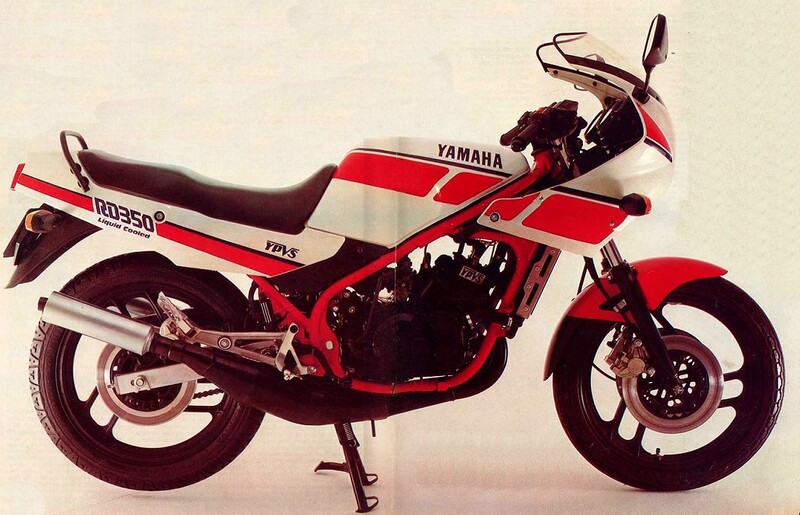 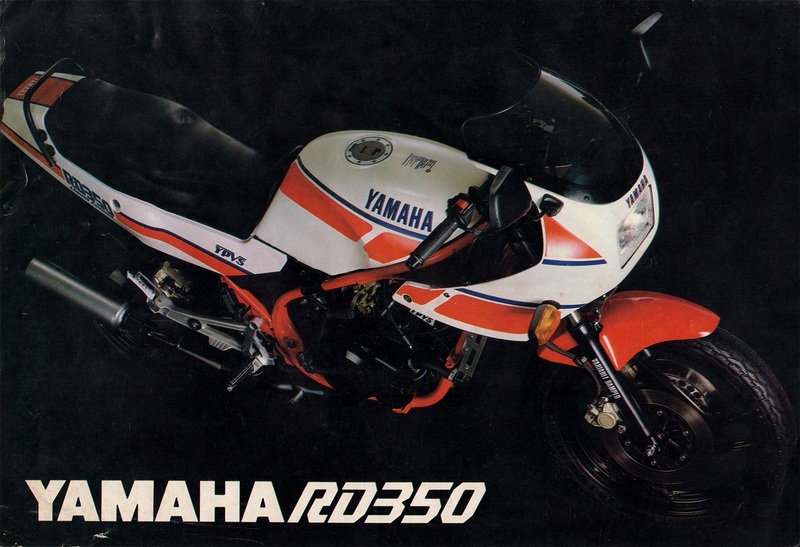 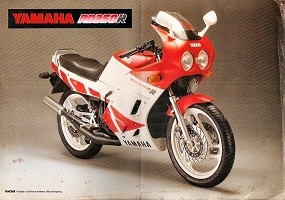 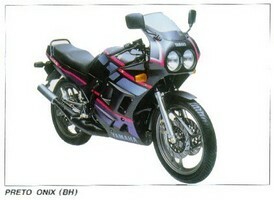 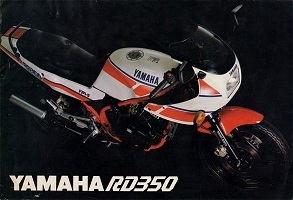 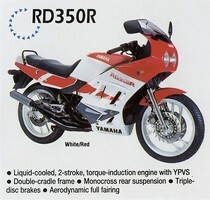 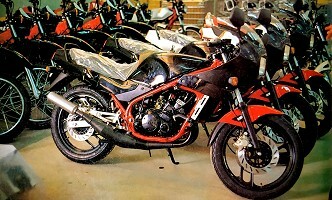 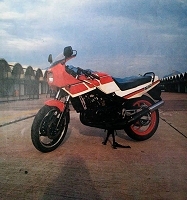 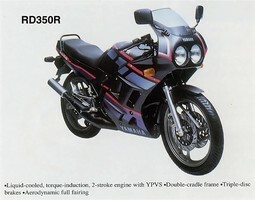 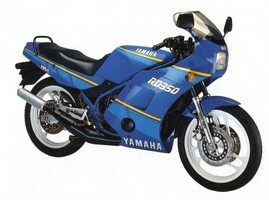 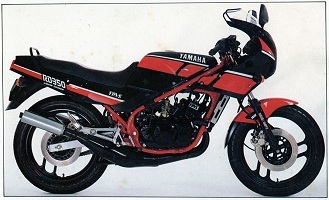 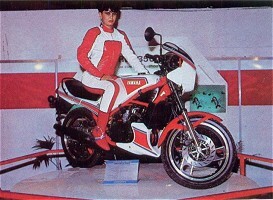 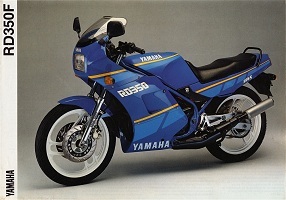 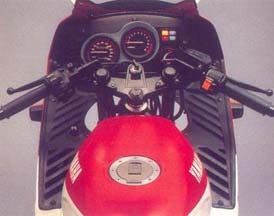 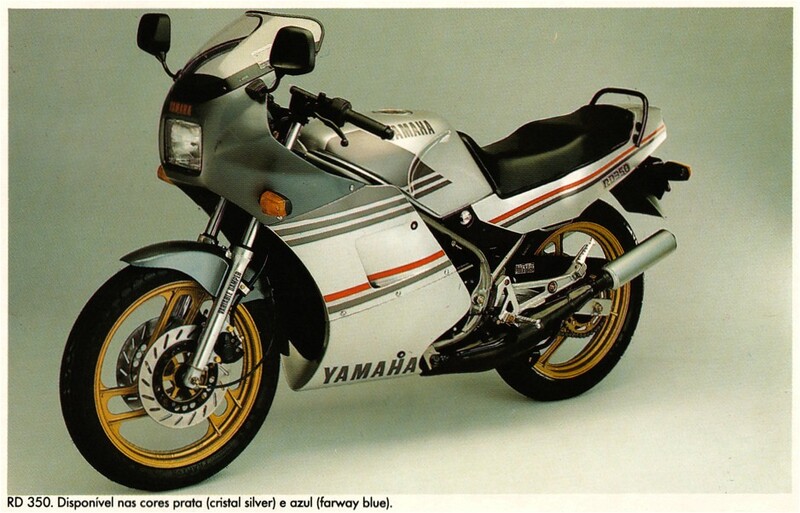 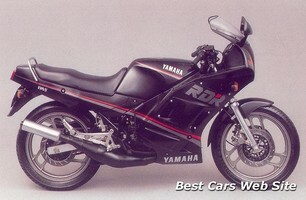 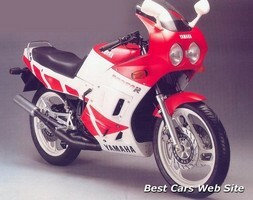 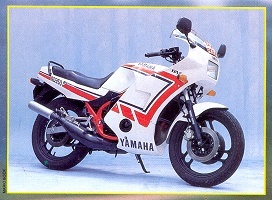 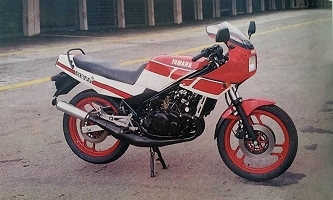 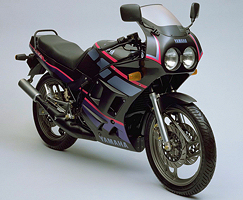 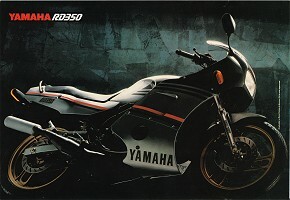 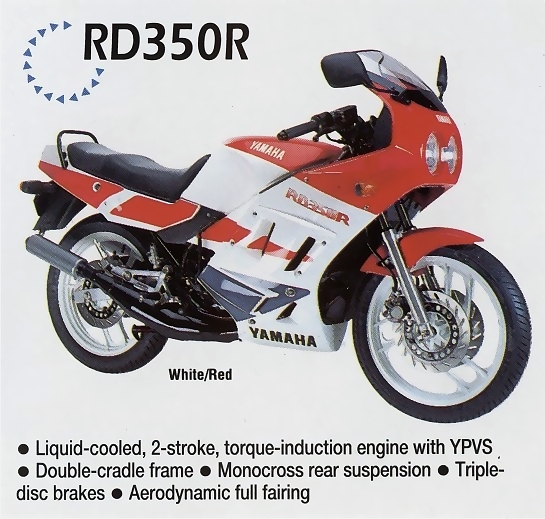 The RD350LC against model started to be produced in 1986. 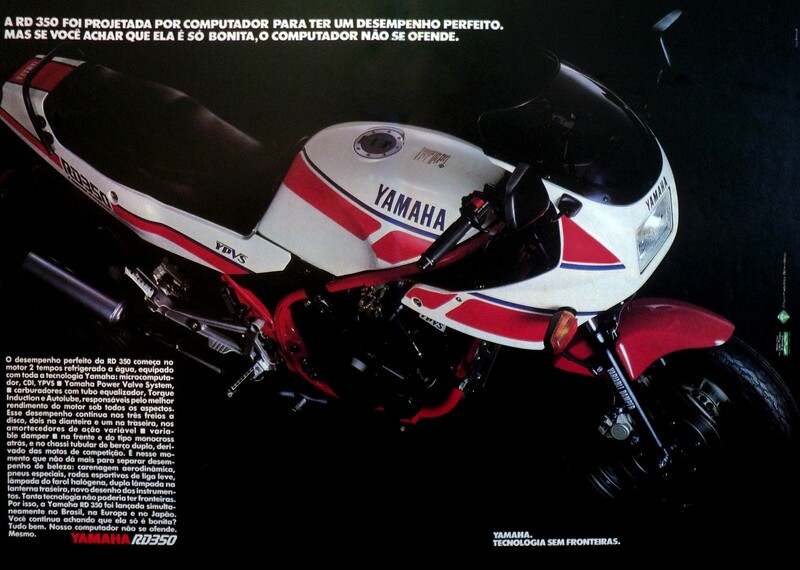 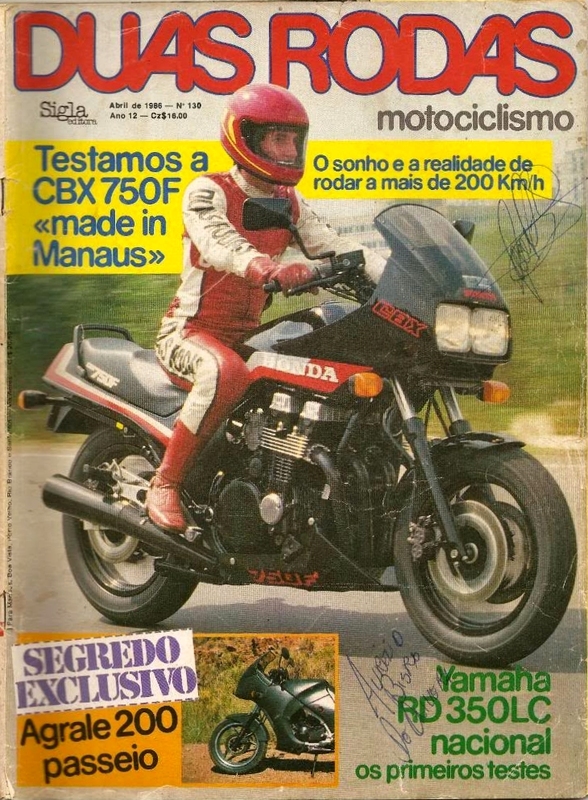 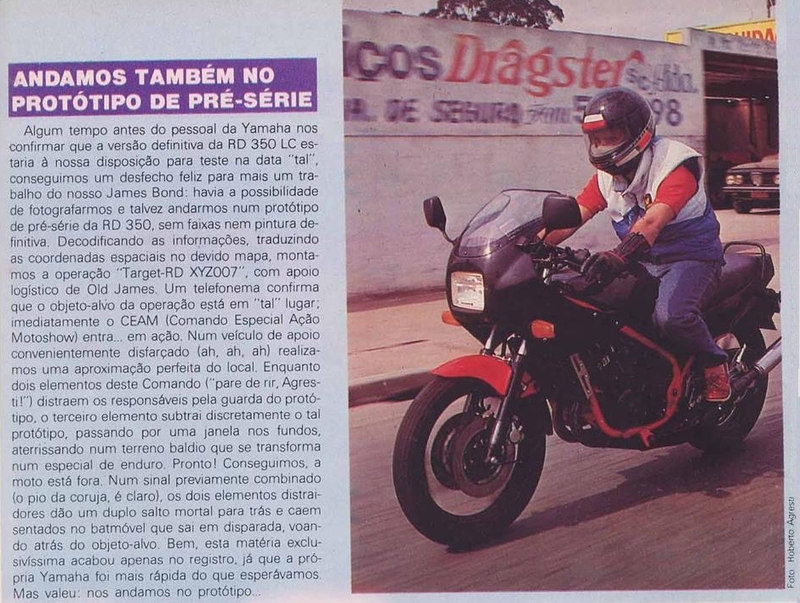 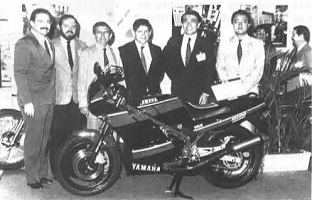 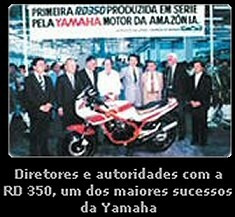 End of '86, YAMAHA MOTOR DA AMAZÔNA start to sold the RD350LC in Brazil. 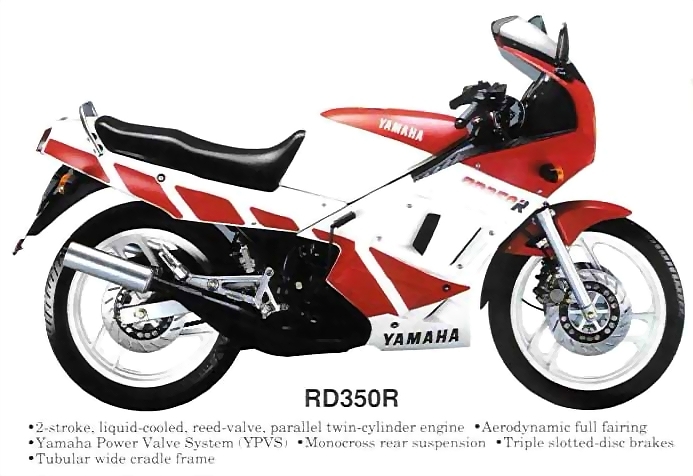 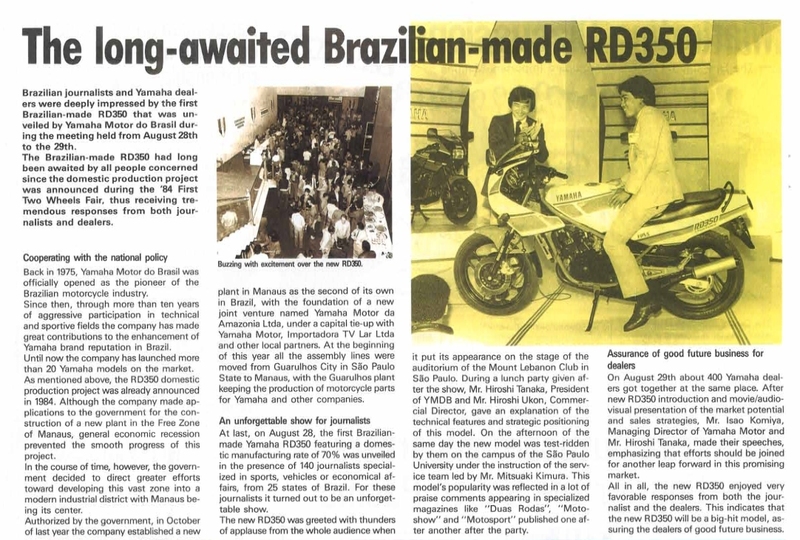 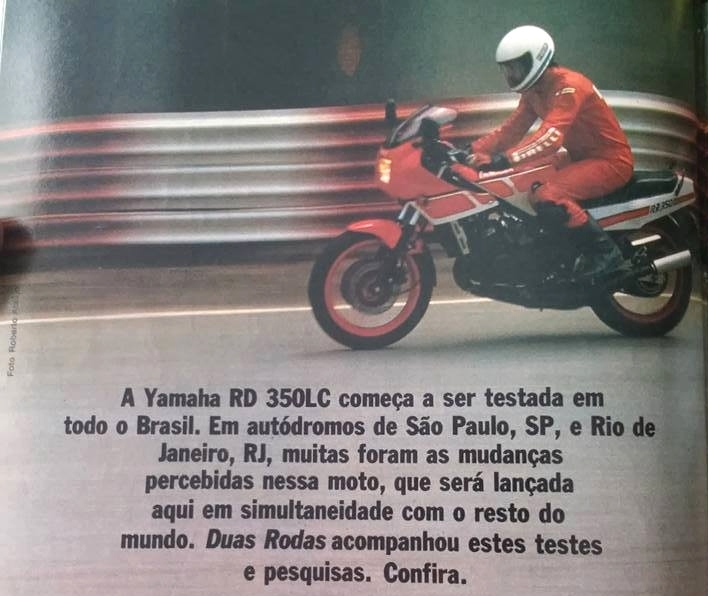 The RD 350 LC/R were built and sold in BRAZIL until '93 bringing the last evolutions of the 350 in the world: the twin headlight fairing model (completely closed like first HONDA CBR 600) which was launched in '91. 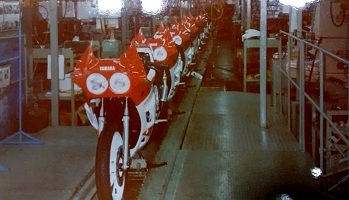 Production stopped in '93 but the last models were sold in UK until '95. 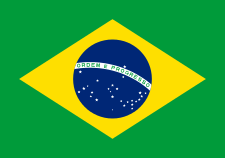 The Brazilian 350 LC/R had a compression ratio of 5:1 (instead of 6:1) to match with the quality of fuel in Brazil which contains approximatively 20% of ethanol that is explain the low power of 55 HP. 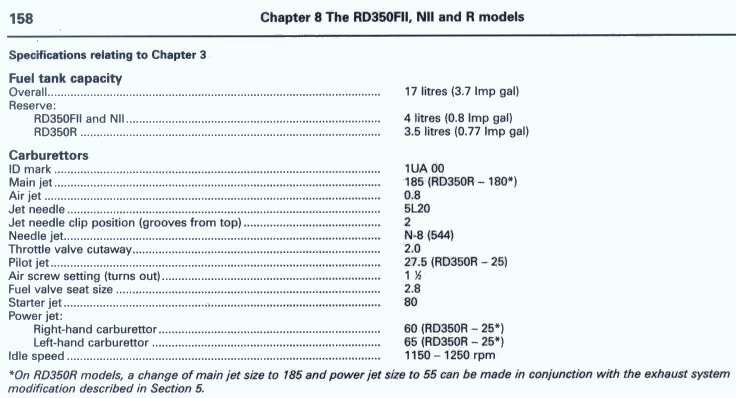 They didn't get the modification introduced in Europe with 1UA/1WT model so the kept the 31K cylinders + carburettors without power-jets. 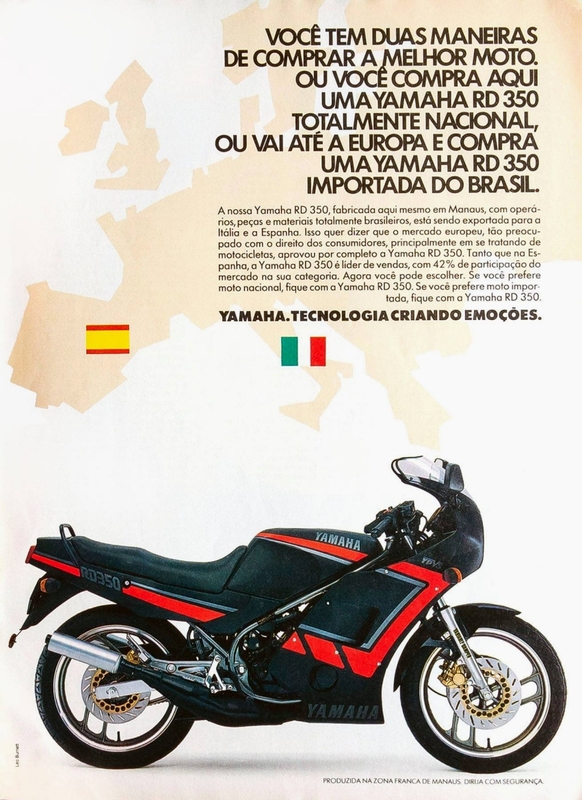 This 55Hp power is with Brazilian fuel so in Europe it's close to 59HP but on '92 to '95 YAMAHA full line up of UK, the power and torque were never given ! 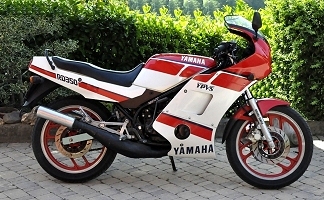 On '92 full line up of Italy, YAMAHA claimed 59.1 HP @ 9000 RPM with 4.8 MKg @ 8500 RPM (like '83 to '85 31K engines) instead of the classic 63 HP & 5 MKg @ 9000 RPM ! 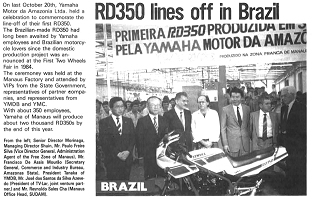 Beginning of sale in Brazil with partial fairing and not perforated brake disks (RD350LC). 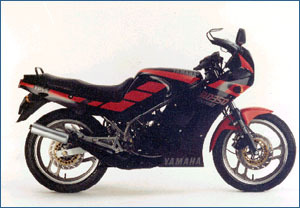 Full fairing available as an option. New model with full fairing (RD350R). 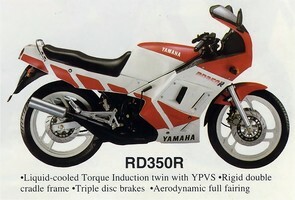 New model with perforated brake disks (RD350R). 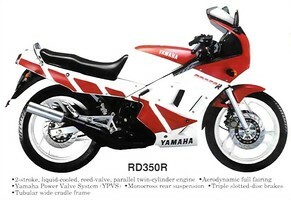 New models with new full fairing with twin head lamps (RD350R). 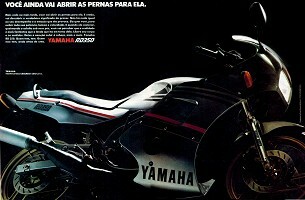 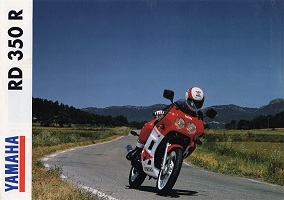 The Brazilian RD350F went on sale in Spain & Italy in '88. 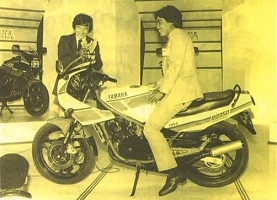 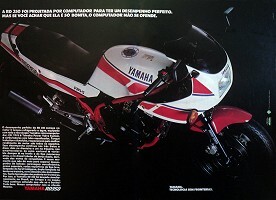 Since '88, in ITALY, in order to respect the quota of imported bike from Japan, YAMAHA Belgarda imported it motorcycles from Brazil: at the beginning the RD 350 F2 (2UA model with different colorings from Europe like against) and later the twin headlight RD 350 R.
"You have two ways to buy the best motorcycle. 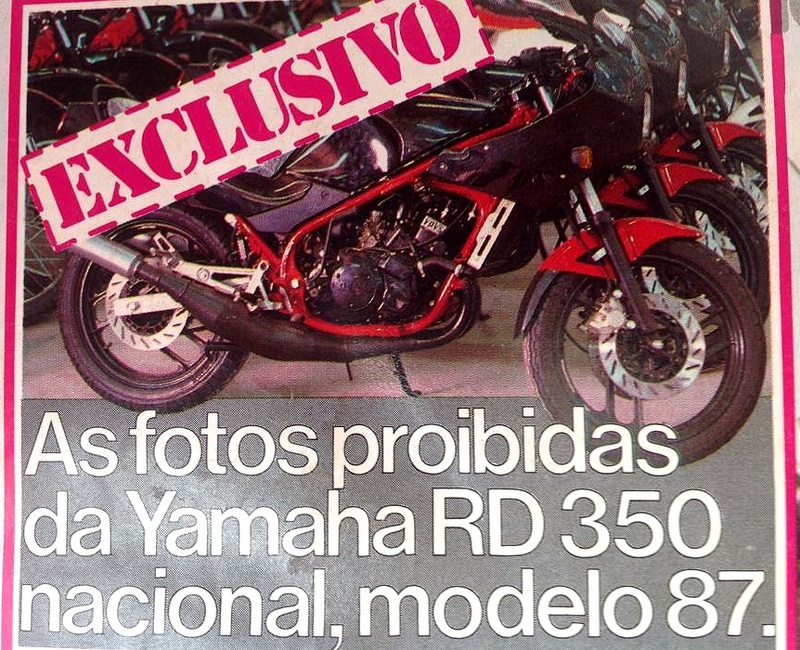 You buy here a Yamaha RD350 fully national or go to Europe and buy a Yamaha RD350 imported from Brazil"
This model was exported to Spain & Italy and YAMAHA motor da Amazonia is clearly proud of it ! 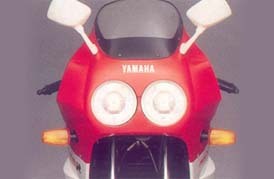 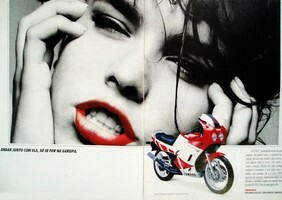 Then the RD 350 R twin headlight were sold in UK from '92 to '95, in Spain,Italy & UK. 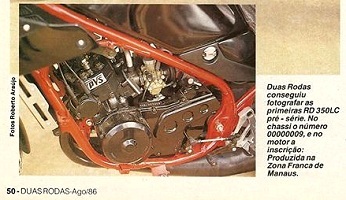 The European models had Restricted exhaust (with restrictions washers in the exhaust downpipes) with different carb setting on carburettors with power-jets. 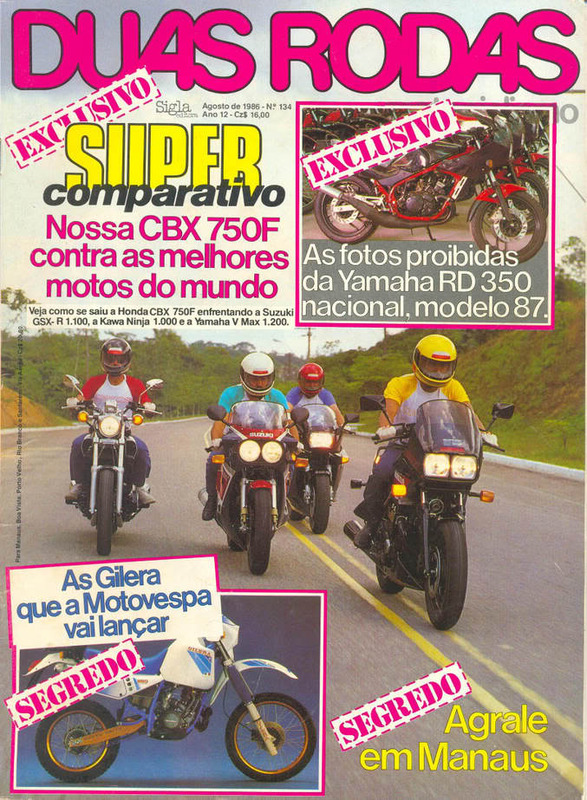 I read in WHAT BIKE MAGAZINE from January 95 : "Cynics say the restriction's there in the first place because the worn out seconhand tooling the brazilians use can't turn out engine parts with tight enough tolerances to produce peak power reliably ". 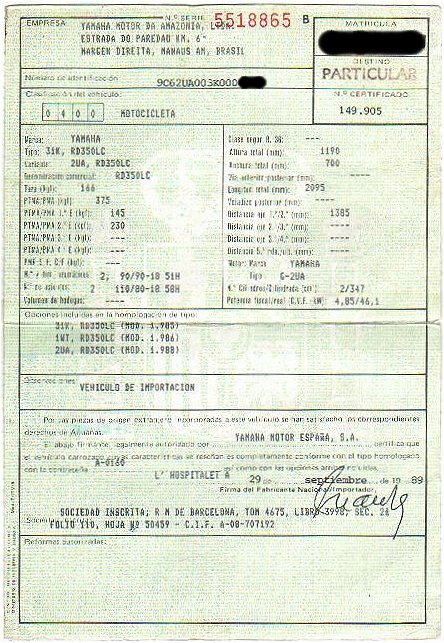 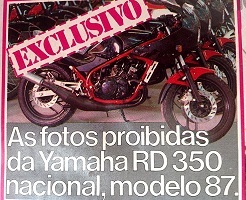 Look papers of an ITALIAN RD350F2 2UA and from a SPANISH RD350F2 2UA. 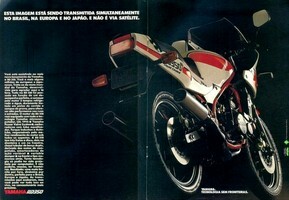 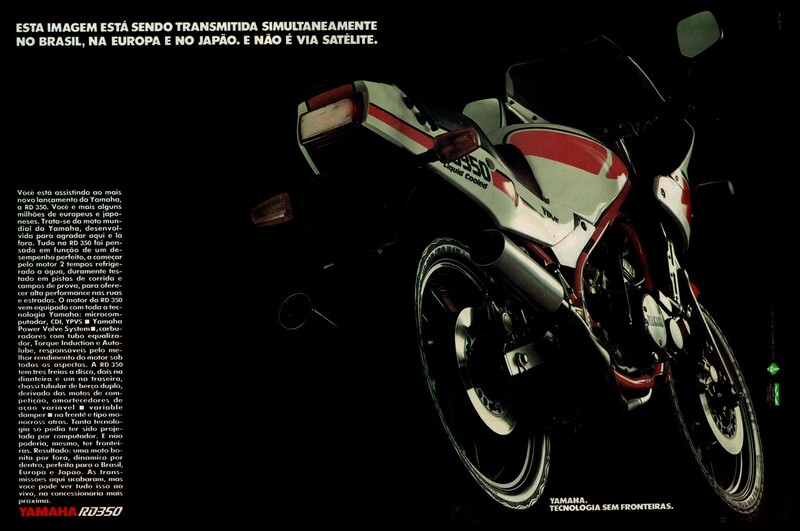 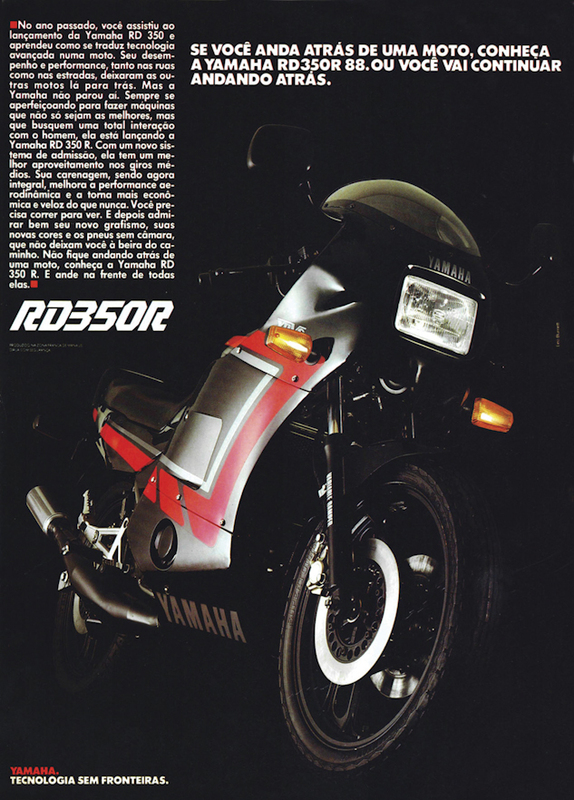 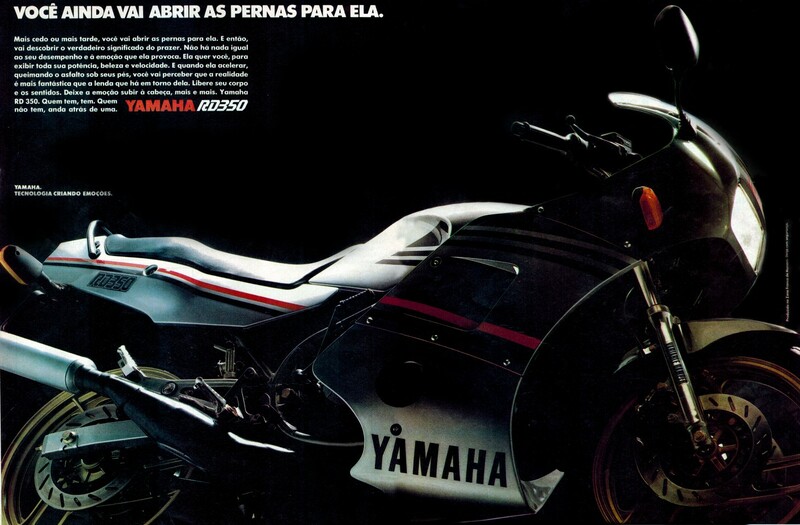 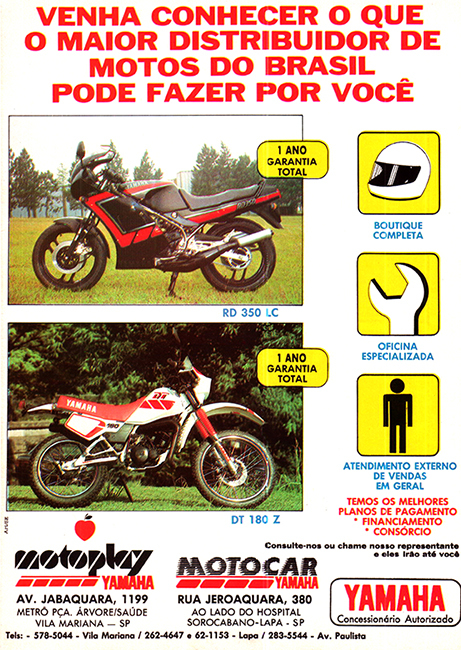 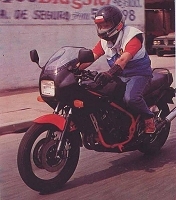 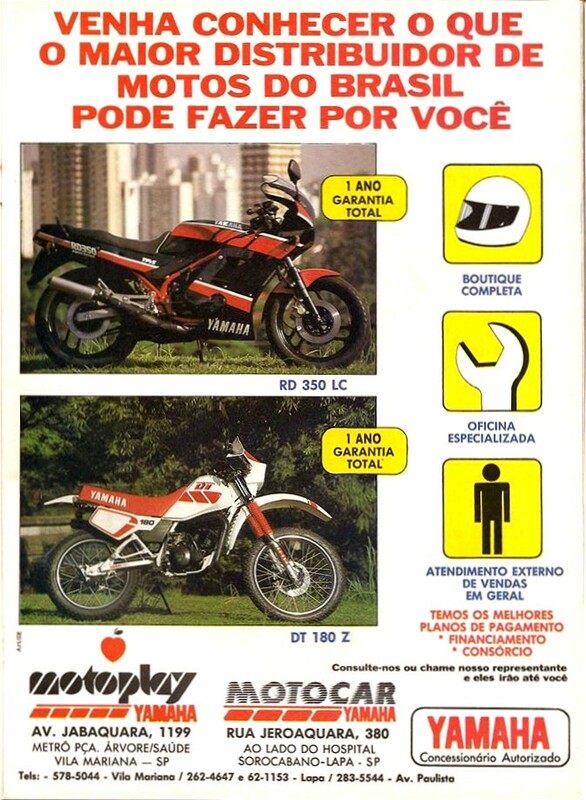 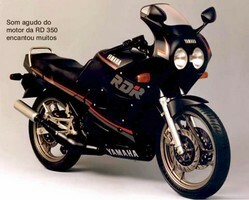 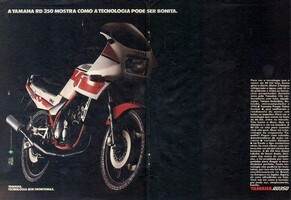 Note that "RD 350 R" means twin headlight model in Europe but it was a classic (apart the colorings) RD 350 F2 with single rectangular front light for '88 to '90 as we can see on this '88 Brazilian publicity.